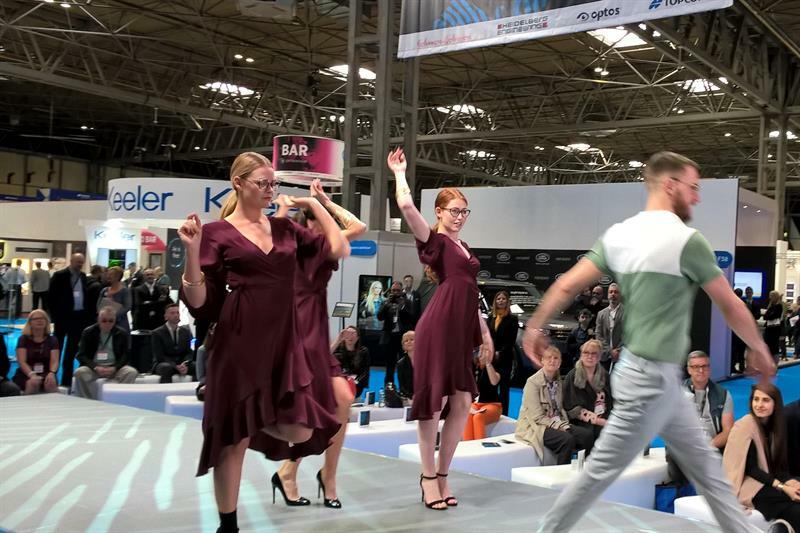 Models are strutting their stuff on the catwalk throughout the day at Optrafair wowing visitors with the latest frame styles set to music and dance. Shows featuring frames fromEyespace, Bondeye, International Eyewear and Wolf Eyewear lasting with 20 minutes will take place at 10.30, 12.00. 13.30 and 15.00 on Saturday and Sunday sono one will miss out. On the stage from Eyespace will be itslatest Land Rover, Cocoa Mint and Basebox styles while Bondeye will feature its ROAV foldable sunglasses and Haseley & Co wooden sunglasses. The latest styles from International being displayed by the models are Hero, Episode and Ocean Blue while Wolf features its eponymous ranges of day and sunwear.